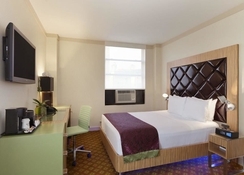 The Days Hotel Broadway otherwise known as Days Inn by Wyndham Hotel New York City-Broadway resides in the Upper East Side of Manhattan on the Henry Hudson Parkway at 94th Street & Broadway. Stay at this hotel and discover true New York culture and art. The property is excitingly close to several of NYC’s tourist attractions including the Times Square, the Empire State Building, Central Park, etc. 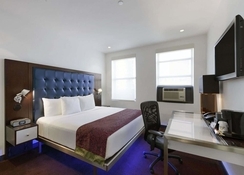 The guestrooms at the hotel feature sleek interiors as well as all modern and contemporary amenities. In the vicinity of the hotel, guests can find numerous shopping, dining, clubbing opportunities. A unique feature of the hotel is it provides free access to its guests to the New York Sports Club. 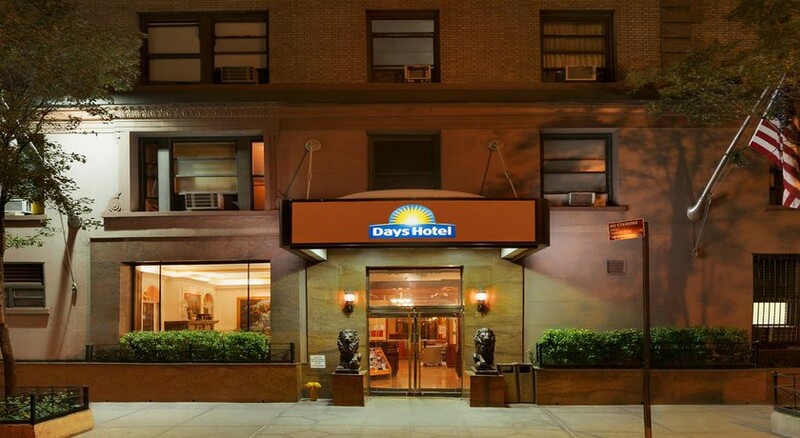 Days Hotel Broadway is located in the posh Upper East Side of New York City. This fabulous hotel is close to numerous shops, restaurants, museums and sports clubs, which will definitely keep guests excited throughout the day. The LaGuardia Airport is about 16km from the hotel. The suites and guest rooms in this hotel showcase the star attraction of the city – the city itself. 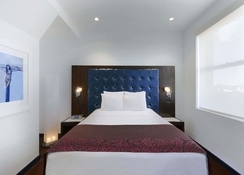 Each guestroom has its own uniqueness, featuring a window overlooking the sky scrapers of the city. 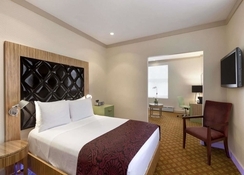 Amenities in the rooms include air conditioner, double bed, telephone, flat screen TV, hair dryer and much more. The rooms are suitable for solo travellers, couples, families and group of friends. There is a wealth of dining and drinking opportunities in and around the hotel, which will tantalise your taste buds. Some of the bars and restaurants near the hotel include Vino Levantino – serving Mediterranean cuisine, 94 Corner Café – serving excellent New York pizza, Whispers Restaurant & Bar – serving Latin American cuisine and many more. The hotel has professional and friendly staff members who will give you suggestions to choose the best food combinations. In-room services are offered by the hotel. There are ample sport and leisure facilities around the hotel to keep guests engaged. There is a state of the art fitness centre, where guests can maintain their fitness level. 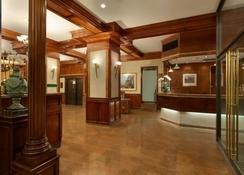 The hotel offers free access to the guests to the New York Sports Club. These facilities make this hotel a delightful place to stay whether for pleasure or business.